US-based company THINX debuted in 2014 with the goal of creating the most innovative period solutions that empower every body while igniting conversations about important (and often taboo) topics. THINX revolutionised the menstrual hygiene industry with their groundbreaking range of reusable period-proof underwear, made with their signature four-layer technology that ensures every pair is moisture-wicking, odour-fighting, super-absorbent, and leak-resistant. THINX period-proof underwear is washable, reusable, and made with no harmful chemicals or single-use plastic — a better, more sustainable solution for people and the planet. With a strong commitment to empowering the next generation, THINX partners with schools, after-school programs, and non-profit organisations, and works with qualified, trained facilitators, to educate girls and boys on reproductive health, human rights, and personal identity. The THINX mission also includes supporting safe, affordable access to period products through regular donations of period-proof underwear and traditional menstrual hygiene products, which are given to grassroots organisations and local initiatives who distribute them to communities in need. 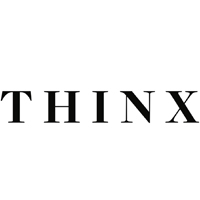 THINX also works closely with organisations to fund programs and services that help disadvantaged people with periods, including survivors of of domestic violence, refugees, and the homeless.